So you’ve decided to learn to drive – exciting! Before you start searching for your preferred driving instructor though (or perhaps you’ve found one already), there are some things you’ll need to know. Driving lessons are often fun, thrilling, beneficial and rewarding. But they can also be hard work, and your learning process must align with the standard codes and practices to ensure you stay safe. 1) Before you can begin driv ing lessons, you must have a provisional driver’s licence for Great Britain or Northern Ireland, depending where you are from. You can apply for a provisional driving licence after your 16th birthday by visiting the gov.uk website, or picking up a form at your local Post Office. 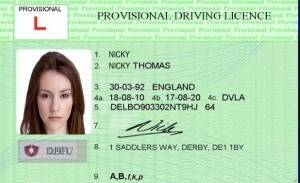 Note that the photo ID card you will carry around with you is NOT your actual provisional licence. The licence part is the form you will receive when the Driver and Vehicle Standards Authority (DVSA) issues you your card. On your first driving lesson, you must bring both parts of the form along with your photo ID card. 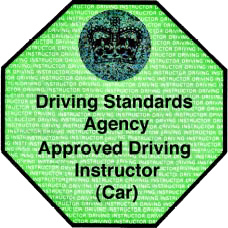 2) Your driving instructor must be approved by the DVSA, which regulates all driving instructors, including trainee ones. Check that your driving instructor displays a green badge in their windscreen (pink if they are a trainee) and don’t be afraid to ask your instructor if you can’t see it. If you have been charged for lessons by somebody who turns out not to be an approved driving instructor, you can report them to the DVSA. 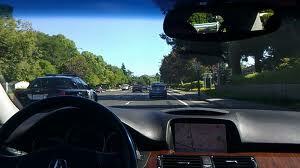 Have the right licence for driving the type of car you are driving (automatic or manual). 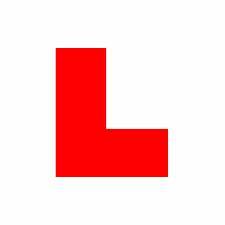 When out on the road without your instructor, you must always display ‘L’ plates on the front and back of your car if you live in the UK. If you live in Wales, you can use ‘L’ or ‘D’ plates. 4) Its important to track your progress as you learn to drive – what you’ll know what you cover in each lesson; what you have mastered; what you still need to work on etc. Not only will this help you be aware of your strengths and weaknesses, it will also help you determine whether your current instructor is value for money. If after several hours of lessons you feel you haven’t made progress, you can have a word with your instructor or simply switch to another one. You instructor will probably give you a card to mark on what you’ve covered. Otherwise, you can download one from the gov.uk driving website. 5) Its useful to start learning the Highway Code and preparing for your Theory Test as soon as possible. The earlier you start, the more time you will have to absorb this knowledge, so can take it at a slower pace without feeling rushed. Pick up a Highway Code book from any bookshop, or ask your instructor to recommend or lend one. You can also take practice Theory Tests online at the gov.uk website, to get a feel for the questions you will be asked. You can take the practice tests as many times as you’d like.